Cape Cod is a world-famous destination for good reason. Its spectacular beaches and relative proximity to the bustling city of Boston make it a popular tourist spot – not only among global travelers but also Massachusetts residents looking to hit the Atlantic coast for a little rest and relaxation. And visitors to the cape are certainly spoilt for choice when g up possible swimming, surfing, and wildlife spotting destinations. Read on for five of the finest examples – each of which a worthy reason why you need to take a Cape Cod beach vacation in this picturesque corner of America. How does the prospect of seemingly endless sands stretching off into the distance take you? Race Point Beach near Provincetown is one such example on Cape Cod. Found right on the tip of the cape means that, despite being just a couple of hours down the road from Boston, visitors are often amazed by how uncrowded these sands are – so those eager to escape the rat race and commune with nature may wish to take note. Indeed, birds and seal sightings are possible. The rougher waters are also a popular surfing spot – out within the protected area – although the area’s strong rip tides and undertows mean anyone tempted to go for a dip should stick close to the shore. The beach itself is also home to a couple of landmarks – Race Point lighthouse right at the tip and the Old Harbor Life-Saving Station Museum – while Provincetown, just a short distance down the road, is home to the Pilgrim Monument tower and a number of eateries and shops. 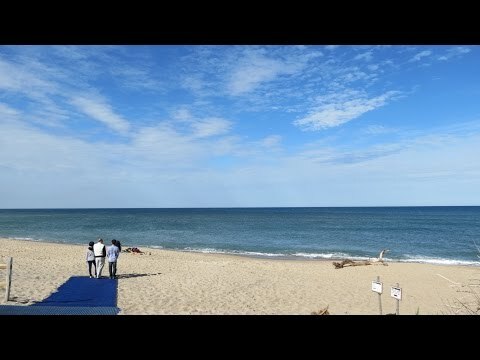 One of Cape Cod’s finest beaches – and boasting a reputation so strong that it even makes lists of the country’s best sands – Coast Guard beach is one of the National Seashore’s must-see sections of coastline. This very popular spot is a prime location for swimmers eager to take a dip and is a busy location in the summer months. Indeed between mid-June and Labor Day, access to the parking area is closed and shuttle buses operate to ferry the crowds to and from the sea. But the trip is worth it for those willing to leave the car. The likes of Nauset Marsh – with its bike trails – and the shorebirds and wintering seals of Nauset Spit are just some of the natural charms that await. It also marks the start of the so-called Great Beach. And there’s a boardwalk leading right up to the sands – enabling easier access for those with child buggies or disabilities. Sporty types should also find plenty to do at the height of the season, with boogie-boarding, surfing, and volleyball among the activities you’ll find fellow beach-goers enjoying during your trip. Located a short distance south of Coast Guard Beach – and separated by the lagoons and tidal marshland of Nauset Bay – lies the popular Nauset Beach. Set to the east of the town of Orleans, this 10-mile stretch of sands is home to some of the highest waves on the entire Cape – making it a very popular spot with surfers and boogie boarders, who are able to hit the waves along the non-protected section of the sands during daytime hours. Those who hanker after less strenuous pastimes such as angling are also well catered for – as the area is known for its bluefish and striped bass fishing. And those who simply wish to enjoy a leisurely walk along the sand, or lie out in the sun, will find a range of local amenities nearby – including a snack bar, toilet facilities, and even showers. The beach’s location also ensures unobstructed views of the rising sun – offering a spellbinding spectacle for early risers on cloud-free mornings. 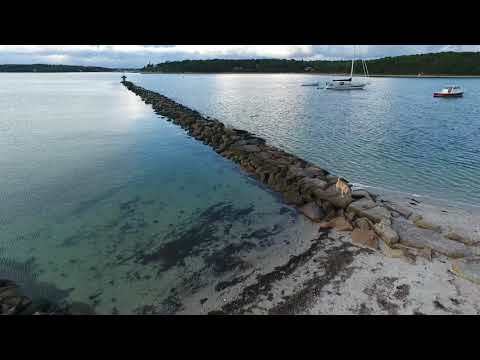 This popular beach is located to the south-west of the cape and within a short driving distance of the likes of Falmouth and Woods Hole – after which the famous Woods Hole Oceanographic Institute of Titanic-discovery fame is named. The beach itself – which is split in half to cater to residents and the general public – enjoys fine views across Buzzards Bay and boasts warmer waters, which have helped contribute to its popularity. Indeed, so popular is this Cape Cod beach that visitors are advised to get there early during the summer season to ensure you can find a space in the car park. The beach itself features a boardwalk, restroom facilities, and a snack bar, making it a popular picnic spot for people of all ages. Those who take to the waters will find lifeguards nearby for added peace of mind but should be aware that currents can be strong at times – particularly near high tide. 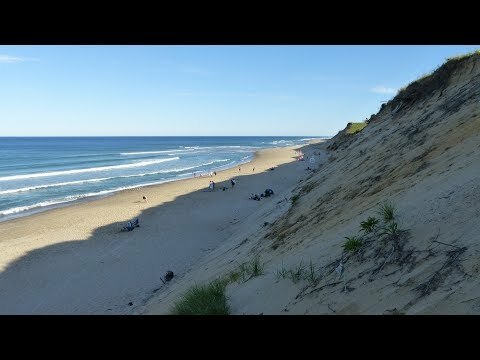 Not only a picturesque stretch of the coast but a site of historic significance, Marconi Beach near the town of Wellfleet was the location, in 1903, of the first ever transatlantic wireless transmission to be broadcast from the US. Indeed, its name is inextricably linked with this technological feat – as it is named after Nobel Prize winner Guglielmo Marconi, who invented the radio and made the landmark broadcast. Curious visitors will be able to find out more about this technological marvel through on-site information displays. The spacious beach itself also boasts large waves which just beg to be surfed. Indeed, it is a popular spot with surfers, although the best waves are outwith the area patrolled by lifeguards, so keep that in mind if heading out with your board. There is also plenty of parking nearby, although space may prove more limited at the very peak of the summer season. Other local attractions include the White Cedar Swamp Trail/boardwalk and local bike routes. And wildlife fans should keep their eyes peeled for the local seals, who feed on the striped bass and bluefish that have made this spot popular among anglers. While this list will surely have whetted the appetite of those eager to hit Cape Cod beaches, there are yet more fine examples out there just waiting to be discovered. Are you up for a little exploration? If you are looking for more travel inspiration on Cape Cod, check out Trip101 for more destination guides and accommodation reviews.